Kanagawa（神奈川）prefecture, south of Tokyo, is easily one of my top 5 favorite prefectures in Japan. With relaxing Enoshima（江ノ島）, Kobe-like port city Yokohama（横浜）, hot spring town Hakone（箱根）, Kyoto-like Kamakura（鎌倉）all in one prefecture, it's hard for me not to like it~ Personally prefer this prefecture to Tokyo too. Mainly checked out this prefecture in March and May 2014. Kamakura is less than an hour distance via train from Tokyo. Headed down to Hase station（長谷駅）, where the night's lodging and 2 sightseeing spots are located. Visited Hasedera（長谷寺）, a temple of the Jodo sect. It is famous for a Kannon（観音）statue with 11 heads. The temple grounds is picturesque, with an area where visitors can trek up to see view of Kamakura, with flowers on the way. There is also a small cave with lots of small statues. Not to be missed attraction- the Daibutsu 大仏 (huge bronze Buddha statue), is just nearby. It is 1 of the 3 great Buddha statues in Japan. Next, took the train to Kamakura station and walked to Tsurugaoka Hachimangu Shrine（鶴岡八幡宮）, Kamakura's main shrine. The path in the middle of the road that is lined with cherry trees is supposed to be really beautiful when the flowers are blooming, a pity I was there 1 week earlier. (Though spot a full bloom one at the gate!) The shrine premise is quite big, with 2 ponds. The other approach to the shrine- Komachi-dori（小町通り）, is a old-style shopping street with shops lining both sides. Then visited Enoshima for superb Mount Fuji sunset view. (refer to first photo) Just like Shinjiko（宍道湖）sunset in Matsue (Shimane prefecture), found them nicer than the supposedly 3 great views of Japan :P Didn't have a lot of time to check out Enoshima thoroughly, but it already left me with good impression, thanks to great view and good food! Had Shirasu Aglio Olio pasta at PICO Italian restaurant at Enoshima. Kamakura is famous for shirasu (baby sardines). Though a big part of why I like Kamakura is because of my stay in IZA Kamakura guesthouse. Liked how there is a bar (that doesn't operate beyond 11pm) downstairs, where guests and staff gather to drink and chat. The people were really warm and friendly. Also liked how it is so close to the beach! Heard that the filming location for Japanese drama Terrace House is nearby. Indeed, this place gives off a "seishun"（青春）vibe. 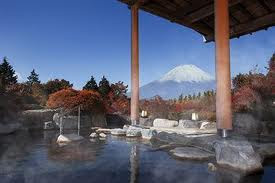 Hakone is the place that comes to mind immediately for visitors who want to enjoy onsen near Tokyo. A 2D1N there is a decent break from the bustling Tokyo. Bought Hakone 2D free pass for 3900 yen. Had to make quite a number of transfers, from train to cablecar to ropeway, though the frequencies were quite good. First visited Owakudani（大涌谷）, crater of Mount Hakone that emits sulfurous fumes. It is crowded with tourists, and is known for the "black egg" that is the result of the sulfur, and also view of Mount Fuji during clear days. After that, continued the rest of the cable car journey and took the pirate ship to Hakone Machi（箱根町）, which is covered by the 2D pass. Checked out the area near Hakone Yumoto（箱根湯本）station, where there are quite a number of shops selling local food products. Then took the shuttle bus to the Ryokan（旅館）I was staying for the night - Hotel Nanpusou（ホテル南風荘）. Costed 10000 yen per night with 2 meals. It was spring, so the theme of the dinner course was "sakura"! From sakura decor and cutlery to sakura-ebi, sakura-mochi, food was beautiful and delicious! Hakone has quite a few other attractions to visit which I skipped, such as Hakone Art Museum, Hakone Glass no Mori (Venetian glass theme park) and Hakone Shrine. Being a castle fan, chose to visit Odawara Castle（小田原城）. It is a good place to see cherry blossoms, a pity it would only bloom a week later. The tall black pine trees make the castle stand out from the others. Checked out the ShinYokohama Raumen Museum before the lunch time crowd came. Like the Showa period setting. There are 9 shops there, thanks to the mini portion, it is possible to try more than 1. We tried Tokyo's Genkotsu ya, Yamagata's Ryuu-shanghai, and Saitama's Tsukemen Ganja. I am a fan of tsukemen (because i like fish-based soup and my noodles to be hard and chewy), though the most impressive one was Ryuu-shanghai. Their standard spicy miso ramen was SO GOOD! Before mixing in the chilli provided, the miso soup had a unique seafood taste which was special but lacking something. After mixing in half the chilli, the umami was brought out and the taste was awesome! Noodles was hard and chewy, chashu soft and juicy, impressive ramen that i'd have cravings for! 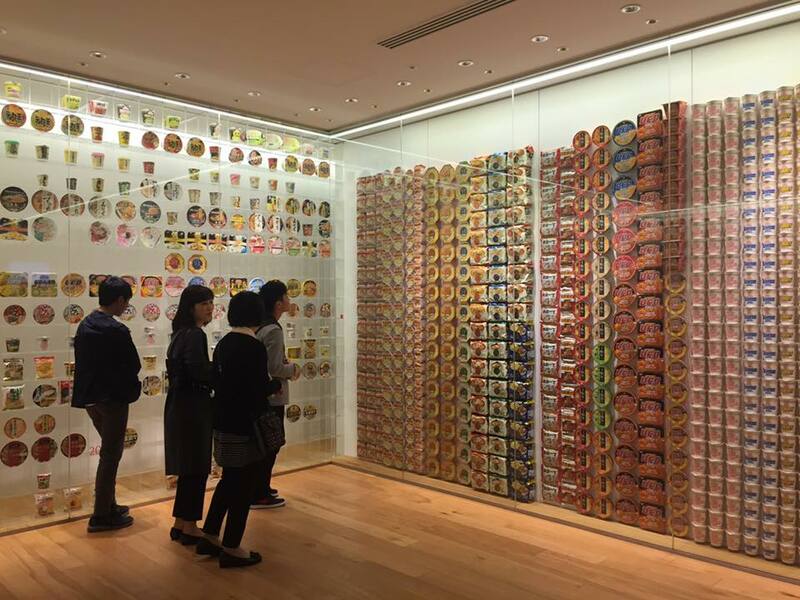 At the lowest level, there is a small museum and visitors can buy ramen related souvenirs. Next, we headed for Kirin beer factory, where I had made reservations for free Frozen Nama special tour. It was quite fun going around learning about the process of beer making. The frozen nama drink at the end was pretty good, the foam can actually last for half an hour! Lastly, visited the renowned Chinatown. Truly impressed by its scale and variety. Nagasaki and Kobe's Chinatown are totally incomparable. Not just mainland China's style, there are Taiwan and Hong Kong style restaurants there too. Really spoilt for choice. Also visited Yokohama Cup Noodles Museum in a separate trip. Other attractions in Yokohama which I have yet to visit include Sankeien (三渓園), Minato Mirai, Zoorasia and Yamate & Motomachi. Reminded me of Sorakuen（相楽園）, Harbourland, Oji zoo and Kitano in Kobe. So many similarities between the 2 port cities indeed!